There are several things you can do that make your site faster and therefore more user friendly. Using a CDN is one of them. 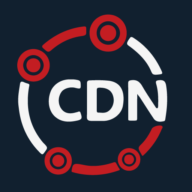 One of the services that CDN.net offers along with it's CDN that helps to make your site faster is compression. Compression is essential to having a fast-loading site. HTTP compression is a capability that can be built into web servers and web clients to make better use of available bandwidth, and provide greater transmission speeds between both." (en.wikipedia.org/wiki/HTTP_compression). Essentially it refers to any kind of compression format that allows for web data to be compressed before it is downloaded by visitors. A visitor's web browser communicates with your server to determine which file compression formats are available on a server. If the server can do compression in formats compatible with the user's browser, it will serve the site data compressed in the format the browser requested. Basically, compression reduces the size of the file on your site, allowing it to load faster. For instance, using gzip can reduce your file sizes down to 25%, which then means that they'll transfer 4 times faster than uncompressed files (http://www.alfajango.com/blog/how-to-combine-gzip-plus-cdn-for-fast...). Netscape 6+ (Netscape 4-5 does, but with some bugs). Internet Explorer 5.5+ (July 2000) and IE 4 if set to HTTP/1.1. How long does it take for a CDN resource to be set live?